The Second Bureau Issue was produced during 1902 and 1903 and was the first issue completely designed and produced by the Bureau of Engraving and Printing (BEP). Also known as the 1902 Series, the sixteen stamps of this issue with their ornate design elements are considered by many to be the most attractive ever produced by the BEP. 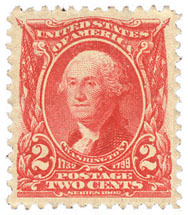 This issue of definitive stamps was the workhorse issue of the Post Office Department from late 1902 until it began to be replaced by the Washington – Franklin issue in late 1908. During these years the stamps of this issue were produced in sheet, coil, booklet and overprint formats. This series also ushered in the use of bureau precancels and perfins as well as a wide variety of privately produced coil stamps for use in stamp vending and affixing machines. All of these varieties combined with the wide range of postal rates and fees in effect during this time period make the Second Bureau Issue one with many different collecting and exhibiting possibilities. The mission of the committee is to provide information and ideas to collectors and exhibitors about how they may enjoy these possibilities.